My latest Inner Circle Podcast features Blue Oyster Cult's longtime front of house engineer Steve La Cerra, who'll describe the trials and tribulations of playing venues and festivals of different sizes. I also discuss the latest battle between YouTube and the Worldwide Indie Network, and take a look at how to find the groove in a song. 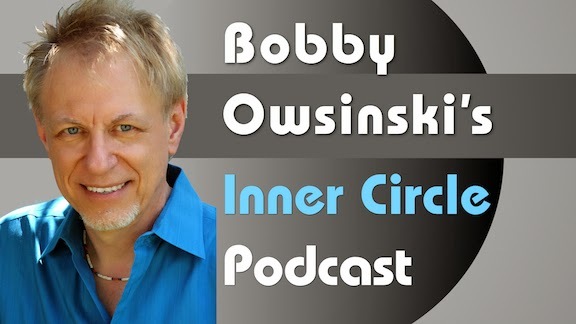 Check it out at BobbyOInnerCircle.com. There's nothing like listening to the isolated bass and drums of a track to really feel its essence. The essence of Wings' "Band On The Run" (from the album of the same name) is totally Paul McCartney, as he played both bass and drums on the track. Most of the album was recorded at the EMI studios in Lagos, Nigeria after Sir Paul decided he wanted to try recording in a more exotic place than England. Just prior to departing for Nigeria, both lead guitarist Henry McCollough and drummer Denny Seiwell left the band. Paul and band members Linda McCartney and Denny Laine decided to carry on anyway, with Paul now taking on drum and lead guitar duties as well as bass. Here are some things to listen for. 1. The drums are amazingly solid for someone who doesn't spend most of his time playing drums. Listen especially to the ride cymbal work in the first part of the song, which is like a metronome. 2. While Paul can lay down a drum beat, he has a little trouble with fills. Listen to the one at 3:08 and at 4:50, both of which are a bit lazy and late. 3. Paul's bass playing is mostly behind the beat and sometimes even flams with the drums. This happens throughout the song, but especially in the first section of the song. Today this all would have been fixed if not during the recording, then in editing afterward. 4. He is one of the most innovative bass players ever though. McCartney is noted for coming up with melodic parts that most other bass players or arrangers would never think of. Listen to the bass part of the last section (the "Band on the run" part). Few players would come up with something similar. 5. The recording is great, even though it was done on an 8 track machine in less than ideal conditions. Geoff Emerick provides one of his best engineering jobs. In recent years we've seen a lot of counterfeit audio gear, mostly microphones and headphones and most of it coming out of China. Usually when the price is too good to be true, it's either a close-out of a model that will no longer be manufactured, or it's a counterfeit. One of the more egregious examples in recent years is with one of the best headphones on the market, the Audio Technica ATM-50, but there are other companies that are affected as well. 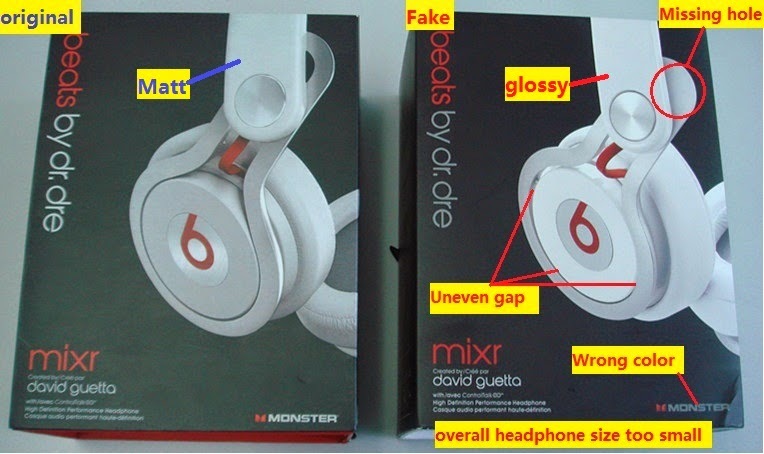 Although not a favorite of audio pros, Beats by Dre headphones are one of the best sellers (much to the chagrin of the older pro headphone manufacturers), but the company has a real problem with counterfeit manufacturing. Last month it filed it's 5th court injunction of the year against either a rip-off manufacturer, an online seller or a retailer. What's worse, its phony headphone sales have run rampant throughout Asia, where it's much more difficult to control. Each industry has its counterfeit goods rated on an A to C scale, with an A rating meaning that the product looks legitimate and is sold for roughly the same price as the authentic product. A C rating means that the product bears the brand's logo, but doesn't resemble the original other than that. Beats is fighting counterfeit goods that range from A to C, with the C level products selling for as little as $10 to $15. One of the more interesting pieces of this story is the fact that much of the sales come from fake online sales sites like ilovebeatsbydre.com, which shows product pictures lifted from the real Beats website, but delivering something much different. Beats have been vigorous in routing those out, however, and has had over 3,000 similar domain names transferred to its ownership since 2013. It will be interesting to see how Apple, the new owner of Beats, deals with this issue. Obviously, its pockets are a lot deeper, and the company has been fairly successful in combating counterfeits in the past, but this is an new game entirely. So remember, the next time you see a deal on a piece of new gear that seems too good to be true. Just think about the Beats counterfeits before you shell out your money. It used to be that when you were working your way up the food chain as a music producer, you'd hone your chops with indie artists, at first not signed to a label, then signed to smaller labels. Today this is a fact of life for all production pros whether you're just starting or are a seasoned veteran producer. One of the major questions that producers new to the game often ask is, "How do I determine a budget?" Here's an excerpt from my Music Producer's Handbook that will provide 8 questions that you can ask your client (even if it's a label), in order to better understand what your client's needs are, and how you can best fulfill them. 1. How many songs? The more songs, the more time you’ll need to complete the project. The more time, the more money it will cost. 2. How will this be released? If the final release will be in a CD or vinyl format, you’ll have to figure additional mastering costs as well as a sequencing session to test the song order. If the release is only intended for online distribution, that will also impact your budget since there won’t be any income from the product to recoup the costs. 3. Will the costs of manufacturing be included in the budget? 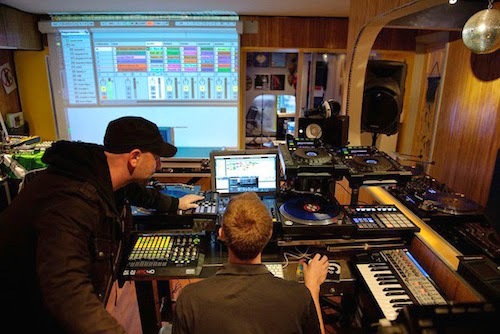 A neophyte artist, band or record label sometimes includes the entire costs of manufacturing the final product (CD or vinyl) in the recording budget. This is not the case with a more established or experienced entity, who recognizes that manufacturing is a burden not charged to artist. Regardless, including the manufacturing costs in the budget can put a serious ding in the amount of money you have for recording, so it’s best to get the answer to this up front. 4. Are mastering costs part of the budget? Sometimes mastering is seen as the first part of manufacturing and is not charged to the production budget. If that’s the case, find out if you’re responsible for mastering even though it isn’t part of your budget. 5. What kind of sound or direction are you looking for? This will determine whether the band plays together in the studio or layers the parts, or whether studio musicians or a large tracking room are required, or if exotic musical instruments or recording gear must be rented, all of which will impact the budget. 6. What kind of facilities are you comfortable recording in? This determines the environment and the type of studio that the project requires. Some artists don’t care how low-brow the studio is as long as the final product is what they’re looking for. Other artists have to be in a top notch facility that caters to their every whim in order to perform well. And yet other artists have a certain facility that they’re particularly comfortable in. This question may impact your final budget more than anything. 7. Does the budget include my fee? This is somewhat of a moot point if you’re going to be working on spec anyway, but if not, the question can have a large impact on your budget. Regardless of who’s paying the bill, this can go either way, but you’ve got to know how much you ultimately have to work with in order to produce the product. 8. Are you sure you don’t have a budget in mind? Most artists, bands, neophyte labels or financiers have a figure in mind before they even speak with you, but are afraid to tell you so they won’t look as inexperienced as they are. It’s best you get that figure out of the way so you don’t do a lot of budget development work only to find out that they only had a fraction of the amount to spend in the first place, or worse, you left money on the table that could’ve been used for production." If you can get clear answers to these questions, you have a lot of the information needed to determining a budget that will fit the needs of the artist (although usually it's a lot smaller than we would all like). Most Beatles albums were mixed primarily in mono until The White Album, according to engineer Ken Scott in his Abbey Road To Ziggy Stardust book (which I was most honored to co-write), with the stereo mixes done as an afterthought, since stereo was such a new technology at the time. This practice continues until the band discovered that some fans were actually buying both mono and stereo copies of their albums because of the slight mix differences between them. At that point, the Boys determined that it would be a good idea to spend more time mixing the stereo versions, which they did from that point on. That said, most people heard only the mono mixes of those records originally when they were released, but over the years those mixes have been replaced with the stereo mixes. Now those original mono mixes of the 9 UK albums are being released on vinyl in a 14 album box set mono masters collection which will be released in early September. The albums are being pressed on the best 180 gram vinyl available, and were transferred from a Studer A80 machine to a 1980s era Nuemann VMS80 lathe using the original transfer notes made by the original mastering engineers. The album also comes with an exclusive hardbound book using rare studio photos of the band, archive documents, and articles and advertisements from 1960s publications. This is not inexpensive at $375, but it is a definitive look at a piece of history that almost everyone in music still reveres. Check out this video for a bit more about it. High quality field recorders are fairly inexpensive these days but sometimes you just don't want to carry around another piece of gear. On the other hand, it's not easy to get the best audio audio quality with your iPhone. That's where the CEntrance MixerFace mobile recording interface comes in. The MixerFace is an outboard stereo preamp that provides 192kHz/24 bit recording directly into your iPhone or iPad, and also provides a USB connector for your laptop or Android device as well. The unit has a form factor that allows it to sit right under an iPhone, making it an easy to strap it to the device so there's only a single package. The inputs use Neutrik combo jacks that can accept either XLR or 1/4" phone jacks, and each channel has a defeatable limiter and can supply 48V phantom power as well. There's also a headphone output with monitor mix controls and pan controls. The unit has a battery life of about 7 to 8 hours, which is plenty for most applications. Another version aimed at DLSR recording is also available. CEntance ran a successfully funded Indie-Go-Go campaign to fund the MixerFace, and the price there was $199, but it has since returned to a retail of $599-699 (it seems to vary on different press releases). Regardless, this is something that many recordists have been interested in for a long time. It's finally come to pass.